The history of tomatoes in Chinese and Italian cuisine is a surprisingly short but still interesting one. Two of my favorite dishes, spaghetti allo scoglio (seafood pasta) and 番茄紅燒牛肉麵(tomato beef noodle soup), are both defined by how they use tomatoes in similar but radically different ways. The subtle distinctions in taste, texture, and appearance in each dish create flavor experiences that are distinct and memorable. In the case of spaghetti allo scoglio and other Italian dishes, tomatoes are one of the central ingredients in Italy’s cuisine and are a significant part of its worldwide popularity. However, the use of tomato sauce with pasta is a relatively recent innovation, only beginning in the late 19th century. Similarly, tomatoes were previously limited to a summertime staple in Chinese cuisine, though they are currently gaining popularity due to their incorporation into many popular dishes, such as the aforementioned tomato beef noodle soup. The changing role of tomatoes in both Italian and Chinese cuisine is a reflection of how tomatoes themselves have been viewed throughout the centuries. The production, distribution, and consumption of tomatoes have all undergone radical changes over the years due to improving technology and changing cultural mores, ultimately resulting in the predominant role that they now have. From a shunned vegetable that was once associated with Satanism, tomatoes have taken center stage in Italian cuisine and are becoming an increasingly important part of Chinese cuisine, changes that will no doubt accelerate in the years to come. The late entrance of the tomato into Italian cuisine is partially explained by the fact that the plant is not native to Italy, or to Europe for that matter. Tomatoes originated in the New World, beginning as a wild plant found in Ecuador, Peru, and northern Chile, eventually migrating north, where the Mayans and Aztecs modified them into larger, more edible varieties. 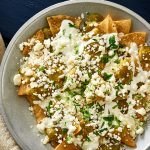 It is from the Aztecs that the name “tomato” was fashioned, from their word for the plant, “tomatl.” Tomatoes entered the European consciousness following the conquest of the Aztecs by Spanish conquistador Hernan Cortes, as colonists procured samples of the strange new vegetable and sent them home. Tomatoes reached Italy in 1548, where they were given a chilly-but-curious reception at first due to their unusual qualities. 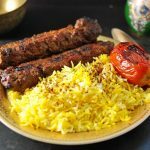 They were initially associated with eggplants, another foreign vegetable that had been introduced to Europe from abroad, in this case from the Middle East. Much like tomatoes, it took hundreds of years for eggplants to become an accepted ingredient in the Italian diet, and both vegetables were believed to cause malign effects to the body. 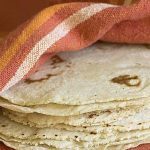 Because European colonists were not interested in learning about the cuisines of the New World peoples they conquered, they lacked the proper knowledge on how to prepare tomatoes, potatoes, and other New World crops to make them edible and tasty. This was a significant reason why it took so long for the tomato to gain traction in Italian cuisine. Further compounding the problems with the tomato’s acceptance was a general distrust of vegetables by Renaissance dieticians. Many dieticians and botanists advised against consuming vegetables due to the belief that they harmed the body and sapped vitality from the human mind. While there is little evidence to suggest that this kept most Italians from consuming vegetables they were already familiar with, it did little to aid the introduction of tomatoes into the Italian diet. Tomatoes were nicknamed the “devil’s fruit” due to their red appearance and the belief that they were responsible for causing illnesses and food poisoning. 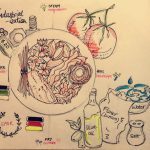 At the time, Italian cuisine was also defined by strict separations in regards to class and location, with different social strata and different regions preferring different types of vegetables. The wealthy classes in Italy were more experimental with their diets, often trying out different types of vegetables—including tomatoes—before these habits filtered down to the lower classes. At the beginning of the 18th century, the tomato began to acquire increasing significance in the Italian diet due to changing cultural mores and dietary practices. Breakthroughs in dietary science showed that tomatoes, when properly cooked and prepared, were an essential source of nutrition, capable of aiding the digestion of foods. However, it was not until the 19th century that many of the staple tomato dishes of Italy began to emerge. The 19th century saw the rise of nationalism across Europe, as various subjugated peoples sought to throw off the shackles of old empires. Italy was a major flashpoint for nationalist uprisings, and the tomato rapidly developed into a unifying symbol of Italian cuisine, distinguishing it from the neighboring French and Austrians. The Italian national flag, which incorporated red as part of a tricolor design, helped reinforce the tomato as a major staple in the Italian diet. 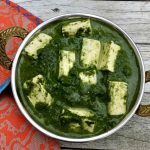 Indeed, a great many Italian dishes developed around this time deliberately incorporated red, white, and green colors as a way of reinforcing national pride. For example, spaghetti al pomodoro, pizza margherita, and insalata caprese each rely on tomatoes to provide the red in the red-white-green trio. In combination with the rise of Italian nationalism, Italian immigration to the U.S. and other New World countries helped spread Italian cuisine—and its tomato-based character—around the planet. The role of tomatoes in Chinese culture has followed a similar trajectory to their introduction in Italy. Tomatoes arrived in China sometime in the late 16th or early 17th centuries, where they initially met a reaction that was equal parts confused and curious. Tomatoes were labeled “foreign eggplants” due to their superficial resemblance to eggplants and were initially viewed with skepticism. The Register of Flowers《群芳谱》written in 1621 records: “Fan Persimmon, a June persimmon, is a type of persimmon that is four or five feet tall, has leaves like celery wormwood and knots of four or five… originated from the West, hence the name.” — the word “fan” of tomato originates from its foreign origin. Over time, tomatoes won greater acceptance in Chinese cooking and found a niche in certain Chinese cuisines, though not to the degree with which they became ubiquitous in Italy. 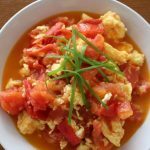 In particular, the invention of stir-fried tomato and scrambled eggs was a breakthrough in Chinese culinary development, placing the tomato front and center in China’s dietary revolution. Scrambled eggs with tomatoes are an ordinary dish in many families. In China, scrambled eggs have a history of at least two thousand years. The book Qimin Yaoshu《齊民要術》written by Jia Weijun of the Northern Wei Dynasty recorded the practice of scrambled eggs at the time: “(The egg) was broken, and the yellow and white were mixed. Fine white onion, salt rice, glutinous rice, sesame oil.” Although scrambled have such a long history, the method of scrambling eggs was not popular. It was also in the Ming Dynasty that tomatoes came to China. About the first time in the Wanli Period of the Ming Dynasty, Looking through the historical data of this period, what we often see is that the ancients described tomatoes as “red and round, cute and lovely,” but they have not been able to establish any connection with eggs and tomatoes. Until the 1880s, when the Qing Dynasty was in the Guangxu period, the evaluation of tomatoes in various localities was still “playable” and “inedible.” By the end of the Qing Dynasty and the beginning of the Republic of China, there were more western restaurants in the country. Tomatoes were widely used as food ingredients in Western food; they were involved in the farmers around the city where the western restaurant was located, trying to grow tomatoes and sell them to Western restaurants. From the perspective of climate in all parts of the country, there are many places suitable for planting tomatoes. Therefore, tomato cultivation has begun to spread in the suburbs of some cities, and tomatoes have gradually entered the recipes of the country; this conditioned the grounds for the stir-fry tomato and scrambled eggs. Traditional Chinese chefs did not accept Western-style dishes at first, and tomatoes were viewed as an ingredient for Western food. 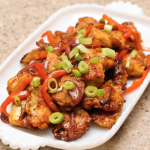 In the 1920s and 1930s, some Chinese restaurants that dared began to mix Chinese and Western cuisine. Because tomatoes are widely used in western foods as tomato sauces, most of the Chinese and Western combination dishes in this period used tomato sauce, such as peach blossom, shrimp, chrysanthemum and so on. In 1935, Lao She, a Chinese novelist, wrote two small articles “Tomato” 《西红柿》and “Talking about Tomatoes” 《再谈西红柿》. Although the main idea of these two articles does not provide methods of eating tomatoes, valuable information can be gained from them: suburban farmers sell most of the tomatoes to western restaurants, and the price is also low. At that time, the method of eating tomatoes was nothing more than raw and cooked. When the tomatoes were eaten raw, there were “green smells.” Many people were not used to it. It is worth noting that Mr. Lao She still did not mention tomato scrambled eggs at this time. The tomato dishes he listed in the article are tomato shrimps based on tomato sauce. However, through Mr. Lao She’s article, we can judge that the birth of scrambled eggs from tomatoes is very close, not only because the article reflects that Chinese food has accepted tomatoes, and more importantly, the price of tomatoes is low and sufficient. These were critical conditions for an ordinary dish. Real tomato scrambled eggs, which appeared around the 1940s. During the Anti-Japanese War, Mr. Wang Zengqi was studying at the Southwest Associated University. He lived in Kunming for seven years before and after. He had eaten real tomato scrambled eggs in local restaurants. “Scramble eggs, fry tomatoes until broken, still fragrant, not weak, eggs into large pieces, not dead. Tomatoes and eggs are mixed, the color is still distinct.” The memoirs written by Mr. Wang Zengqi in the past decades can still make the color and aroma of the scrambled eggs of tomatoes come to us through words. 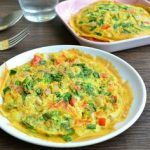 That is, since the 1940s, the home-cooked dish of tomato scrambled eggs has officially appeared. In the following 70 years, it has swept China’s land. Although the appearance of scrambled eggs with tomatoes has gone through two thousand years of waiting and 40,000 miles of encounters, it is still worthwhile to think of its color, nutrition, cheapness, and convenience. Consumption of tomatoes in China was fueled by scientific research showing that eating them can reduce the risk of certain types of cancers. Tomato contains antioxidant lycopene, which can prevent prostate cancer. Some research have also extracted substances from tomatoes to treat high blood pressure. Italian and Chinese cuisine are both defined by their use of tomatoes, which produces superficially similar but radically different results. Both Italians and Chinese use tomatoes as part of noodle dishes, but the exact structure of these dishes is considerably different. Italian noodles, known as pasta, are known for their strong, earthy taste, one that is paired well with tomato sauce and tomatoes in general. Pasta also comes in many different shapes and sizes, meaning that anyone can find a type of pasta that appeals to them. In contrast, Chinese noodles are more uniform and tend to have a sweeter, weaker taste. 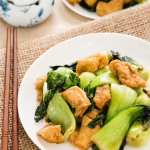 This is because Chinese cuisine focuses on making all ingredients included blend into a harmonious whole, rather than having one or two ingredients stand out. The use of tomatoes in Chinese dishes is part of this: they are used more sparingly compared to Italian dishes, designed to complement rather than overpower the dish as a whole. Because tomatoes lack the significance in Chinese culture that they hold in Italian culture—as a symbol of nationalism—tomatoes are not used to the degree that they are in Italy. 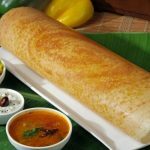 The cuisines of both nations also feature strong variation depending on the region. 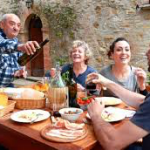 In the case of Italy, there is a general shift in culture going from north to south, where northern cuisine tends to be blander and more “Germanic” while the southern and Sicilian cuisine is spicier. This is due to the differing cultural traditions of these parts of Italy: Sicily and southern Italy were profoundly influenced by the Arabs and Middle Easterners, while Austrians and Germans influenced northern Italians. 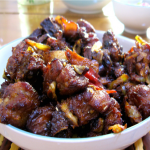 Similar shifts in taste can be seen in Chinese cuisine, where dishes from southern provinces and cities are known to be spicier than those from the north. 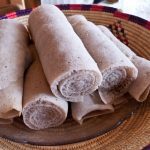 These regional differences are the result of cultural separation and climate and have played an integral role in the depth and extensiveness of each nation’s cuisine. It is hard to believe that tomatoes, at one point, were utterly unknown in both Italy and China. Tomatoes have influenced the cuisines of both nations to such a degree that it is incomprehensible how their dishes would have developed without the fruits. Ultimately, tomatoes remain some of the most popular items on the menu for many people of the world, and in the case of Italians and Chinese, tomatoes have become a staple item that has taken on a significance beyond mere sustenance. Tomatoes, for both nations, are a symbol of national pride, cultural excellence, and culinary refinement. It is clear that the popularity of tomatoes in both nations will not only endure, but new permutations of the vegetable will continue to appear, further evolving their cuisines and refining them for the benefit of hungry people everywhere. Gentilcore, D. (2010). Pomodoro! : A history of the tomato in Italy. New York: Columbia University Press. Shi, S. (1962). A preliminary survey of the book Chi min yao shu: An agricultural encyclopaedia of the 6th century. Peking: Science Press. Yu, H., & Xiao, D. (2015). Sheng wu xun gu: Sheng wu li shi yu sheng wu ke ji. Beijing Shi: Xian dai chu ban she. 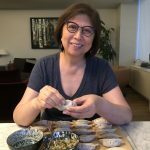 I had the pleasure of interviewing Andy Chen, a chef and restaurant owner of Ah-Ma’s Taiwanese Kitchen in Midtown Atlanta. The restaurant has been around since 2014; Taiwanese-American chefs have been pushing the boundaries of the cuisine in incredibly compelling ways. 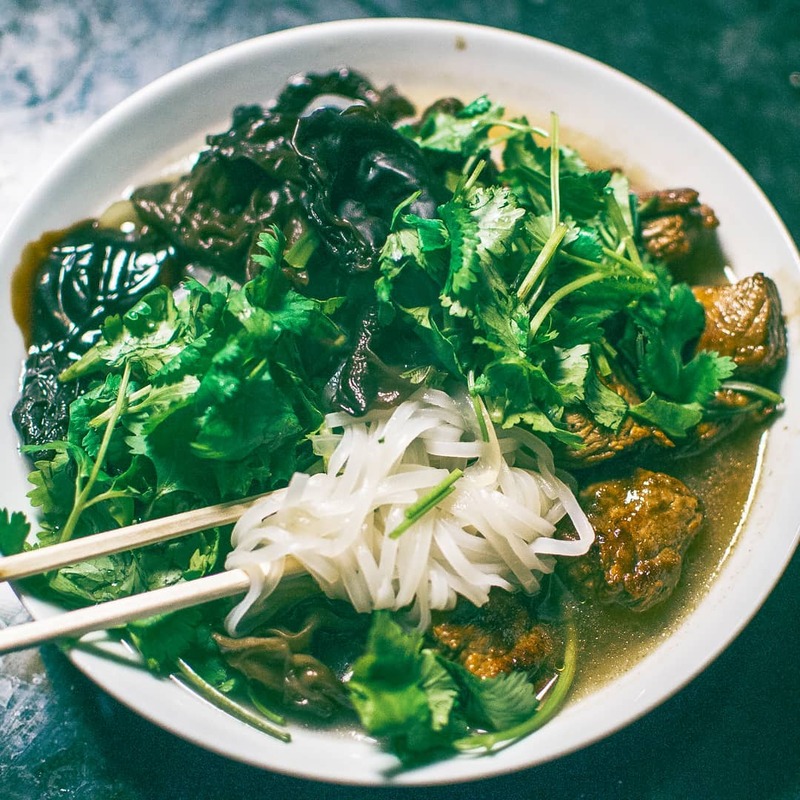 Born and raised in Alabama, Andy shares his story of being raised in the South and tying back to his Taiwanese roots, what his restaurant’s cultural DNA is, and how that DNA is dissolved in his noodle dishes. 3. Did you pick up cooking from your father? 4. Tell me about how Ah-ma’s Taiwanese Kitchen got started. 5. 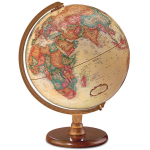 What made you choose metro-Atlanta as the location of your restaurant? What did you aim to achieve, and what were your reasons? 6. 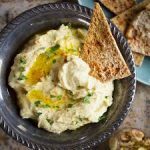 What are your top-selling dishes? 7. 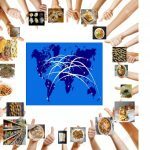 What is your restaurant’s cultural DNA? 8. 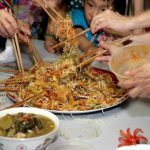 How is the cultural DNA manifested in your noodle dishes? 9. 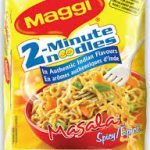 How have noodles influenced you? 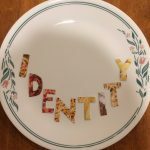 What is your philosophy behind your food? 10. What’s next for Ah-ma’s Taiwanese Kitchen? 11. What is the process of making the bund from scratch? What inspires you to put in so much work? 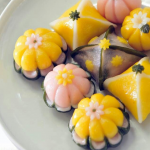 Understanding Taiwan’s food culture begins with tracking the evolution of its society. Historically, Taiwan was ruled by a succession of five colonial regimes from 1624 to 1945; occupation by the Spanish, Dutch, and Japanese ensued over the centuries. Today, the island’s international status is uniquely ambiguous: Taiwan functions as an independent democracy but referenced as a territory of China. 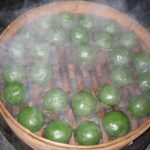 “We are what we eat” — similar to its intricate history, Taiwan’s food culture is somewhat complicated. Based on Fujian’s Weinan food culture, it combines the characteristics of food culture around mainland China to form a colorful food culture. A notable Japanese influence also exists due to the period when Taiwan was under Japanese rule. 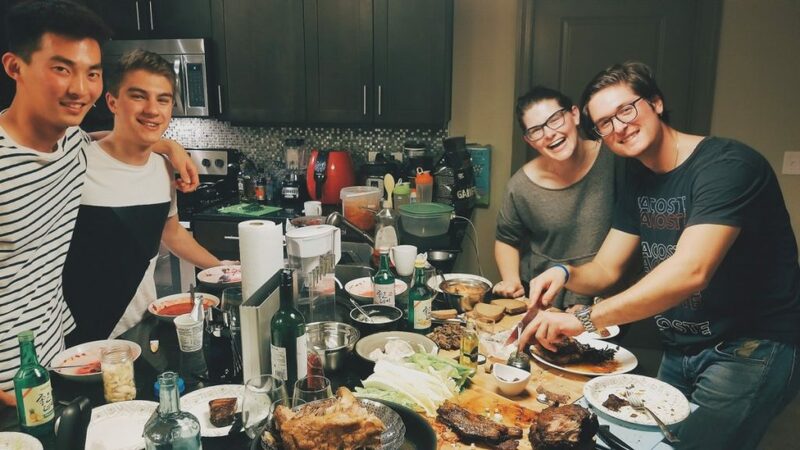 The primary challenge was to reconnect with the Taiwanese culture while making the dishes approachable for the Americans. Cross-cultural culinary mash-ups have come a long way, but authenticity lacks in some restaurants; Ah-Ma’s may seem strictly traditional, and yet there are hints of the South. 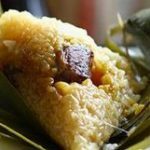 What is the common denominator of the Southern soul food and Taiwanese food? Answer: Noodles and Baos. In the South, we have Mac and Cheese. We also have southern BBQ sandwiches. 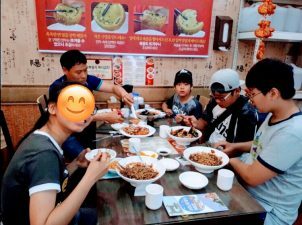 “It is easy to make people like noodles,” Andy said. Noodles are omnipresent; people around the world enjoy noodles, and it is familiar. 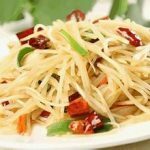 Noodles are also versatile; noodles can be served as a stir-fried family-sized dish, but also as an individual noodle soup. 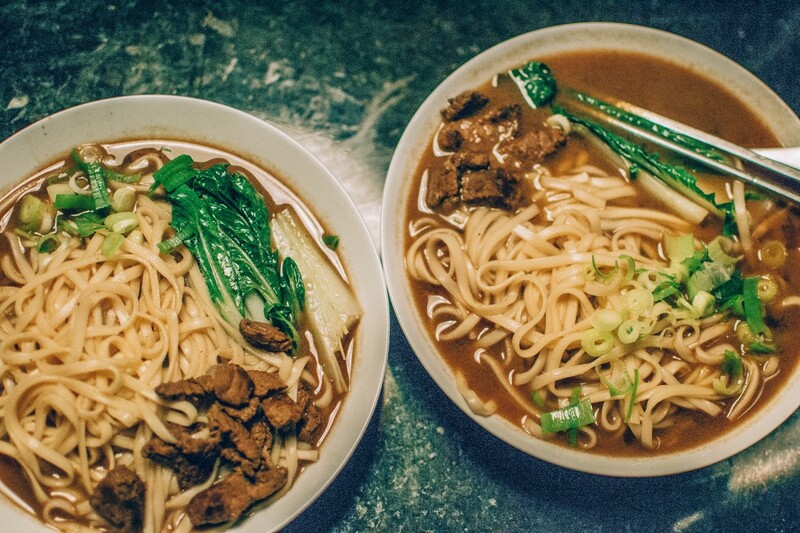 Beef noodle soup is the quintessential Taiwanese comfort food and widely considered to be Taiwan’s national dish. 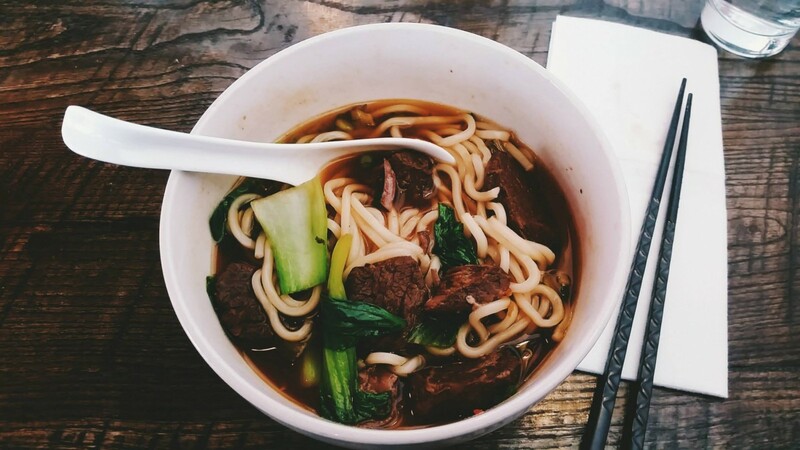 Each bowl has chunks of slow-cooked flank steak, noodles, veggies, and a rich broth. Noodles set the tone for homely, comfort food. Similarly, Baos bring in resemblance to burgers. 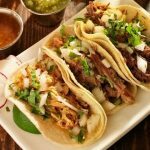 As an ethnic restaurant operating in the middle of metro-Atlanta, finding common ground with American culture is important. Ah-Ma’s top-selling ‘Dirty Bird Bao’ combines the southern element of fried chicken, mayo, and pickles with house-made Baos. 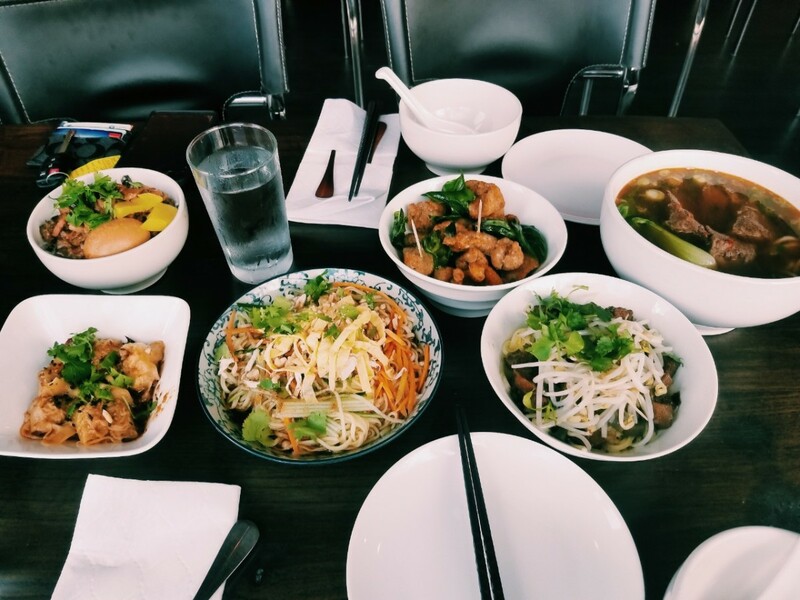 Therefore, noodle at Ah-Ma’s is a gateway to the ethnic dishes, one that brings in familiarity to the American palate, but stays true to its roots. While interviewing Andy, his food philosophy resonated with me. “Here, we focus on balancing the flavors. I think how one seasons the food is related to one’s lifestyle. Balance.” His answer was insightful and convincing — we are what we eat. 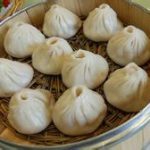 Modern Taiwanese food melds indigenous and imported flavors strongly influenced by the food of mainland China and Japan but with a flavor identity all its own. 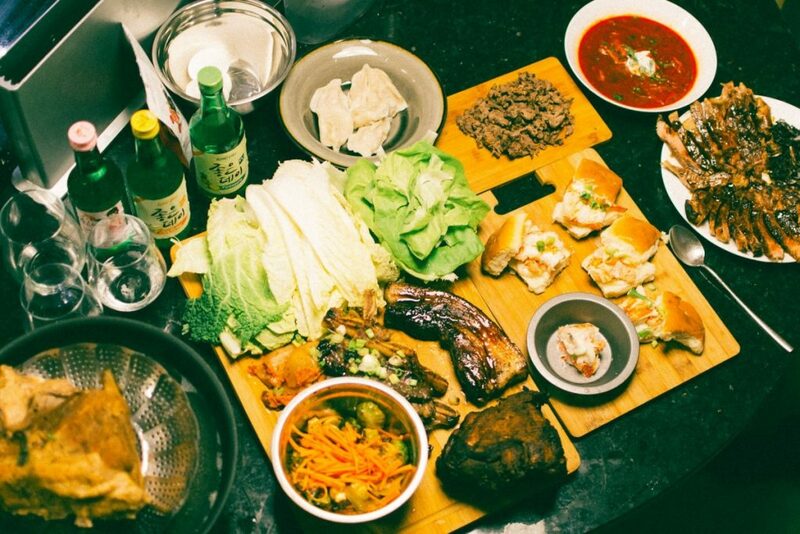 Balancing the different layers of flavor is part of realizing Ah-Ma’s cultural DNA. Noodles are not seasoned strongly because it needs to be harmonious with the broth and beef. No single ingredient sticks out too much. Baos, similarly, are made in-house because Andy felt that outsourced Baos broke the balance of flavors. For Ah-Ma’s, balance is their secret of success. 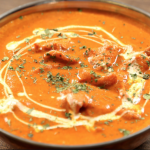 Serving both street food and classic home dishes, the harmony of dishes is essential. 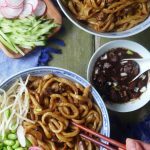 Noodles allow Ah-Ma’s to express the balance and harmony — from small eats to classic home dish, noodles act as a template to introduce all the different flavors. 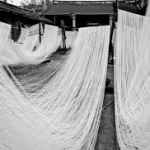 Noodle also represents memories tied to the mother country. 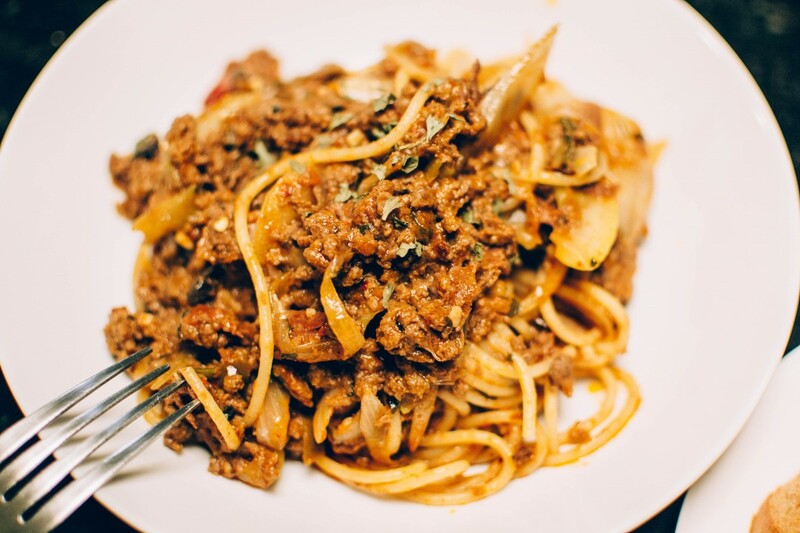 Andy expresses an identity arising out of his multi-ethnic upbringing; noodles are his Silk Road to interlocking culinary traditions while staying true to the roots. His restaurant in the middle of Atlanta is symbolic of one way in which Asian American identity can be found outside of highly racialized binaries. 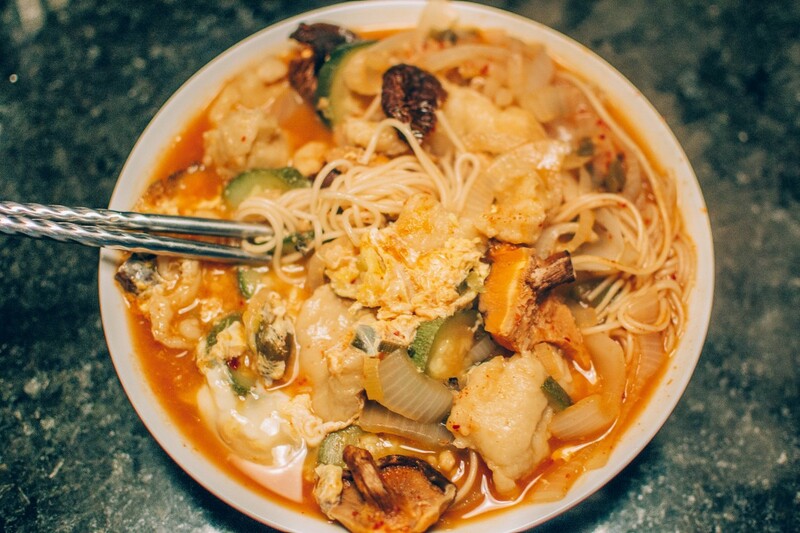 Because you know what, who doesn’t love a bowl of ugly delicious noodles? What piece did you choose to imitate? 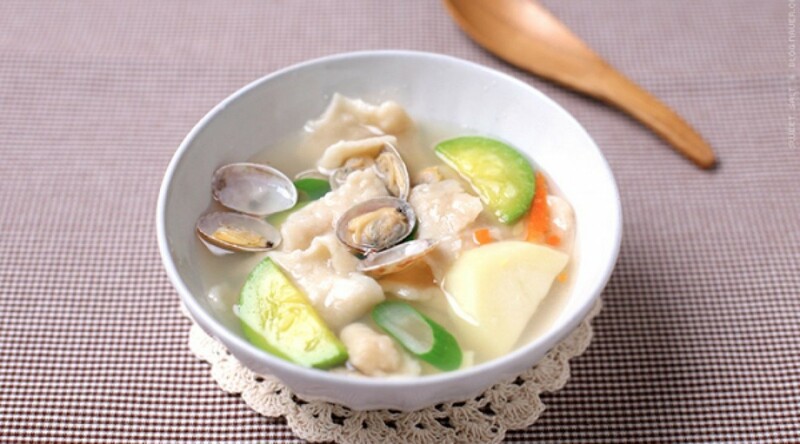 I chose to imitate ’Noodles in Broth’ by Hong Junju. Why did you choose this piece? I chose this piece because I really liked the visual imagery of the making of bing steeped in tea. This poem provokes image of my mom cooking Sujebi, a Korean hand-pulled dough soup. “He kneaded the dough to the right consistency” — this reminds me of when my mom would give me a bowl of flour dough in an aluminum bowl asking me to knead thoroughly. She would take the poorly-kneaded dough from me, and with just few deft movements, reached the right consistency. “A smile would come to the lips, the body would relax” — this touches upon the therapeutic effect one gains from drinking broth. In my poem, I tried to imitate the healing sensation I gain from drinking hot broth of ramen. On a sleepless night, I cook spicy instant ramen with extra toppings of brisket, mushrooms, and chopped scallions; the rich broth makes me forget about the agony and troubles of daily life and comforts me. 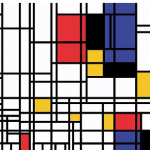 What did you learn about the culture of the original author through imitating his or her style? 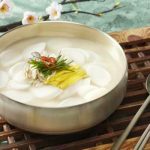 The poem provokes homely and warm feelings; as common as broth is in a lot of different cultures, the warm feeling one gains from enjoying a hot broth dish seems to be universal. 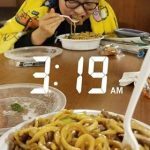 By reading On the Noodle Road: From Beijing to Rome, with Love and Pasta, I was able to discover three things about the culture of the original author. First, Chinese cultivated wheat widely in the northern China around the sixth century, “and invented a specific word for noodles, mian.” Second, officials “wrote of how noodles in broth were eaten during summer festivals and were thought to ward off email spells.” Lastly, “noodles became a part of everyday and ceremonial life.” The author’s culture considers noodle as an essential part of daily life; similarly in my culture, there are numerous noodle dishes served with cold and hot broth; these dishes are considered an integral part of the Korean culinary culture. What did you learn about the your own culture while writing? I chose to write a poem about Shin Ramen; whenever I have a bad day, I would make Shin Ramen and reward myself with the simple pleasure of enjoying a simple and delicious noodle dish with hot broth. 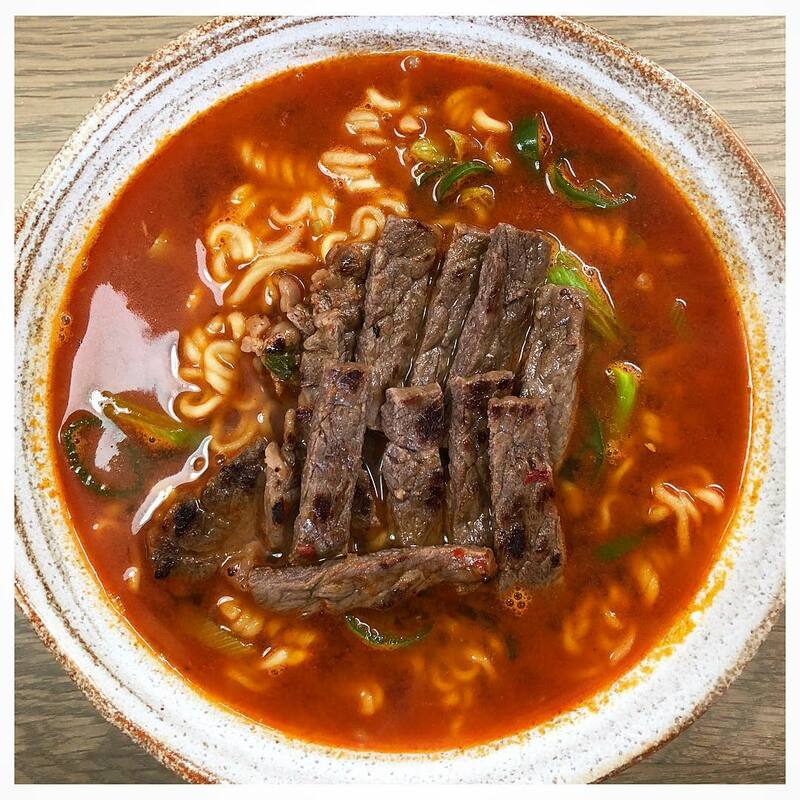 Shin Ramen and the Korean history go hand in hand; during the 1960s, instant ramen replaced rice for the purpose of overcoming food shortage in Korea, which was torn by the Korean War. Despite the initial rejection, instant ramen soon emerged as a popular downmarket food and is considered a part of Korean everyday life to this day. 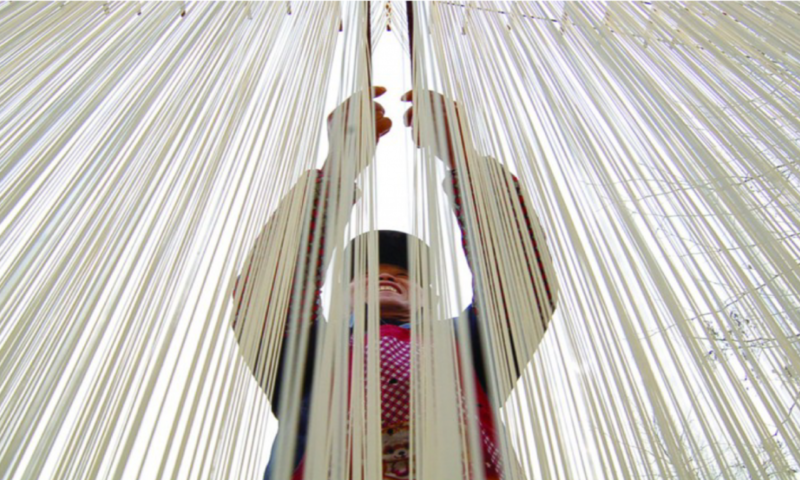 Is there cultural DNA embedded in the piece you read and in your piece? How does this DNA manifest in the texts? As professor Ristaino mentioned in class, dry pasta for her is much more than a mere dish for her. It provokes so many memories associated with the dish. 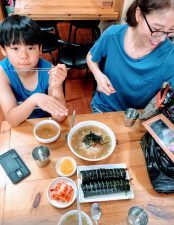 For me, Shin Ramen brings me memories of my friends and family — whether it be circling around a small table with my classmates on a rainy day after a soccer practice, or during a 2AM mission on a naval ship, my memories associated with Shin Ramen is deeply associated with the Korean cultural DNA. Whether on a good day or a bad day, the memories associated with the dish console me, and as I empty a bowl, my agony and troubles are emptied as well. The Capuchin Catacombs of Palermo are burial catacombs in Palermo, Sicily in southern Italy. Around eight thousand corpses in varied states of decay inhabit the site. While there exist other historically fascinating catacombs in Europe, Capuchin Catacomb is known for its perfect preservation of bodies — the particularly dry atmosphere allowed for the natural mummification. Such climate also brought about the birth of dry pasta. From the Middle Ages, southern Italy has been the birthplace of different shapes and varieties of dry pasta; made from durum wheat, its firm texture that remains even through the cooking process to give you a crunchy al dente bite which is outstanding. In Bologna, however, the pasta culture is drastically different. Tortellini, sometimes also described “belly button pasta”, are ring-shaped pasta typically stuffed with a mix of meat, cheese, or a combination of both. Fresh packed tortellini is found in the refrigerated section of the supermarket as it has a much shorter shelf life. Because it’s more expensive, people often assume that fresh pasta is better than dried, but that is not true. 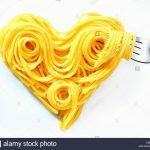 The comparison is apples to oranges; they are just different types of pasta, and certain types of pasta are more suited to certain kinds of sauces and cooking methods. While dry pasta was a product of warm breeze from the Mediterranean Sea, northern Italy boasts a vast array of local cheeses. 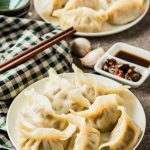 Both identities of Chinese and Italian food come from its diversity by regional differences; Italians place strong emphasis on fresh, local and seasonal ingredients, cooked simply and seasoned well. The “regionality” makes it easy to understand why fresh, local foods are the choice of cooks in both Italy and China. The Alpine regions produce a great number of unique cheeses — the famous Gorgonzola and Asiago cheese come from northern Italy as well. Because northern Italy is marked by humid summer and harsh winter, its pasta culture revolved around the regionality; instead of dry pasta, local ingredients such as meat and cheese are utilized, so pasta is kept fresh. Coal has supplied more than 70 percent of China’s energy for the past 50 years and has shown no sign of waning. China first began burning coal for heat, cooking , and smelting steel during the Han dynasty. 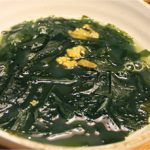 Usage of high-flame coal single-handedly changed the culinary culture of China — stir frying, in which ingredients are fried in very hot oil while being stirred in wok, emerged as a groundbreaking technique. While minimizing the destruction of nutrients, stir-frying is exceptional at bringing out essence of ingredients. Noodles with various thickness and shapes were experimented, giving birth to an array of new dishes. Near my high school in Taipei was a small store called ‘Shanxi Noodle House’; the texture and feel of these noodles stayed stubbornly in my mind for years. 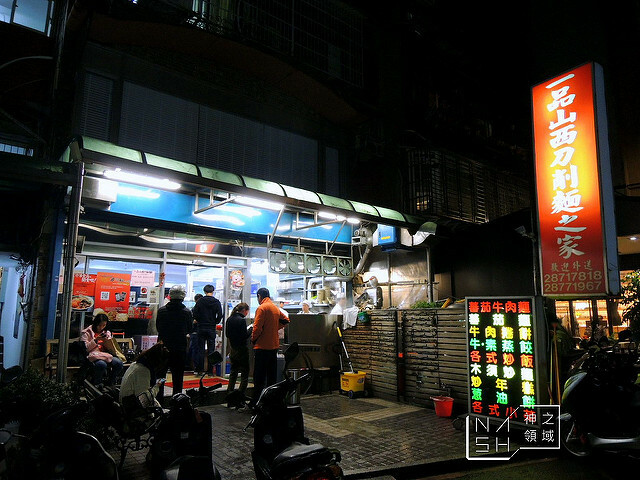 The owner of this place practiced the art form for years to master — noodle dishes were served stir-fried or in broth. My classmates and I would always struggle to choose a dish here, and we would always end up ordering 5 different dishes and sharing. 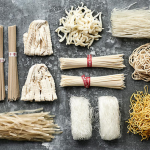 To both Chinese and Italian people, ‘noodle’ is a way of life. Noodle reflects their culture, regions, cities, and people that cook them. Just the way southern Italians had to adopt to their dry weather and invent dry pasta, northern Italians leveraged local produce and sticked to fresh pasta. Shapes of noodles vary according to regions and many cultural regions, not to mention the different sauces and broth that are accompanied. 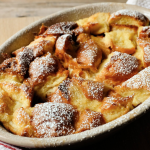 A dish can tell you a lot about the region — but there seems to be one governing principle. Noodle is a comfort dish for a community: ‘Fare una spaghettata’ is an Italian expression literally translated as ‘to eat pasta’, but in reality is a whimsical way of saying “Getting together to eat and having a good time”. 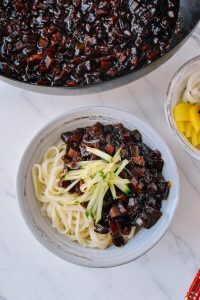 ‘无面不欢 (wu mian bu huan),’ similarly, is a saying that can be loosely translated to ‘no satisfaction without noodles.’ To both Chinese and Italian people, noodle is more than just staple food; noodle brings people together and therefore plays such an integral role in the food culture. Noodle symbolizes the communal spirit. Noodle embodies the regional identity. 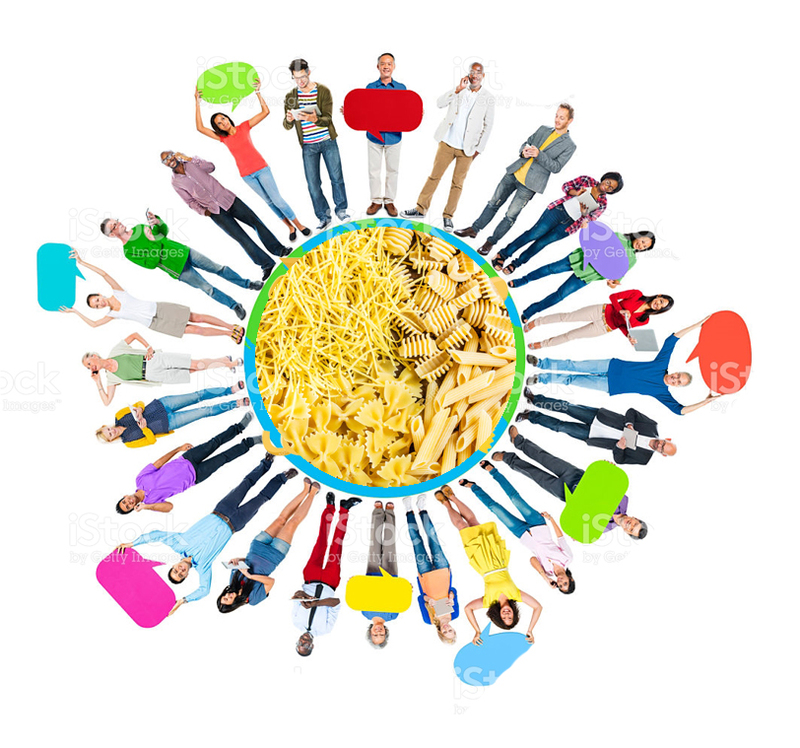 Noodle is a lifestyle in which people mingle together. I made Taiwanese Beef Noodle soup. 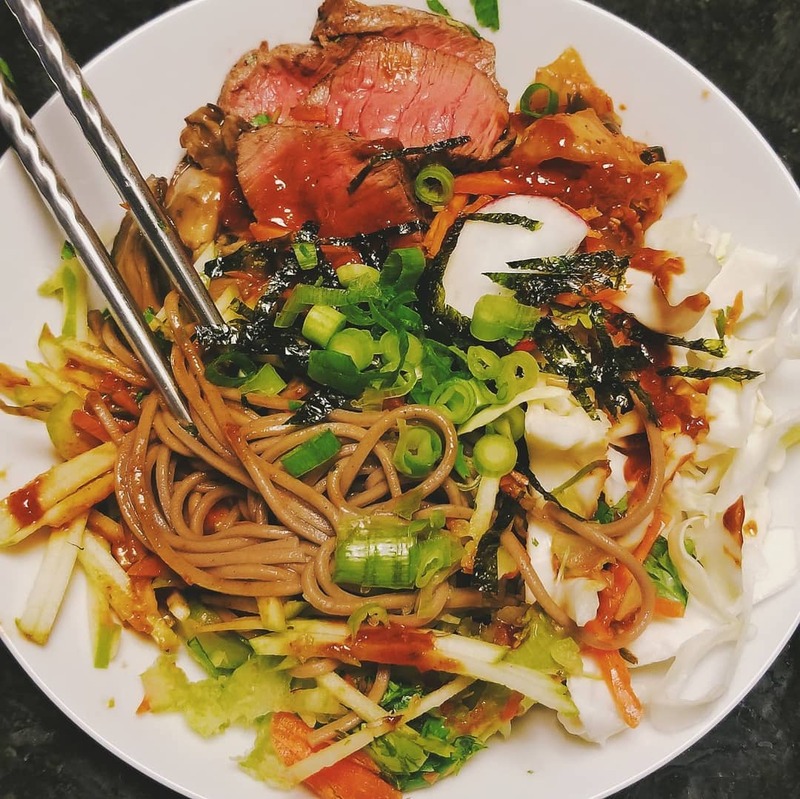 I made Korean Bibim noodles. Wikipedia defines noodle as ‘staple food made from unleavened dough which is stretched, extruded, or rolled flat and cut into one of a variety of shapes.’ As an avid cook, I define noodle as a string that connects people to people; I went on my food instagram (@choidiningclub) to see how many noodle dishes I’ve made for my friends. The graphic I designed symbolizes ethnic identities that reside under the name of ‘noodle’ and the communal spirit. Noodle dishes are usually for groups and for togetherness.